Mary “Mozelle” Bloodworth Parleir, 94, passed away Friday morning, February 8, 2019, at UNC-Rockingham Rehab & Nursing Center in Eden. A funeral service will be held at 2 PM on Monday, February 11, at Fair Funeral Home Chapel with burial to follow in Roselawn Memorial Gardens. The family will receive friends Sunday evening, 6 – 8 PM, at Fair Funeral Home and other times at the residence, 1018 NC 65 in Wentworth, NC. 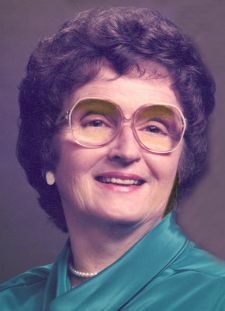 Mrs. Parleir was born November 11, 1924 in Kelly, NC, to the late James Herbert Bloodworth and Ora Lee Cain Bloodworth. She was a graduate of Kelly High School. She attended Campbell College, Appalachian State Teacher’s College and graduated from High Point College. Mozelle taught 2nd and 3rd grades for 32 years at Wentworth Elementary School. She was member of Wentworth Presbyterian Church where she served as church pianist for many years. Mozelle was a past member of the Rockingham Artist Guild and was an accomplished artist, loving to paint and was a former 4-H leader. She loved her family, her church and the Lord. She is survived by her husband of 74 years, Truette C. Parleir of the home; two sons, Reverend Wayne B. Parleir and wife, Liz, of Eden and Michael Keith Parleir of Asheboro; five grandchildren, Cole Parleir and wife, Eveliz, Amanda Parleir and fiance Justin Brumble, Nick Parleir, Hunter Parleir, and Chasity Armstrong and husband, Shane; and three great-grandchildren. In addition to her parents, she was preceded in death by her sister, Louise B. Smith. Memorial contributions may be made to Wentworth Presbyterian Church, PO Box 85, Wentworth, NC 27375 or to Hospice of Rockingham County, PO Box 281, Wentworth, NC 27375. Wayne & family, I'm so sorry to hear of your Moms' passing . She was a busy Lady & Teacher . May God Bless & comfort you all at this time & each day. You all will be in my thoughts & Prayers, Love in Christ, Nancy Raines .! Mr. Parleir & Amanda,we can't began to tell you how sorry we are to hear of Mrs Parleir's passing.She was such a lovely and sweet lady.She always had a kind word to say and she was a caring and loving person. Please know if you need anything let us know,we are praying for you. All of you are in my thoughts and prayers. Mrs. Parleir was my 2nd grade teacher. Mrs. Parleir was my 3rd grade teacher at Wentworth Elementary School. I still remember her as a great teacher. My thoughts and prayers are with your family in your time of loss.